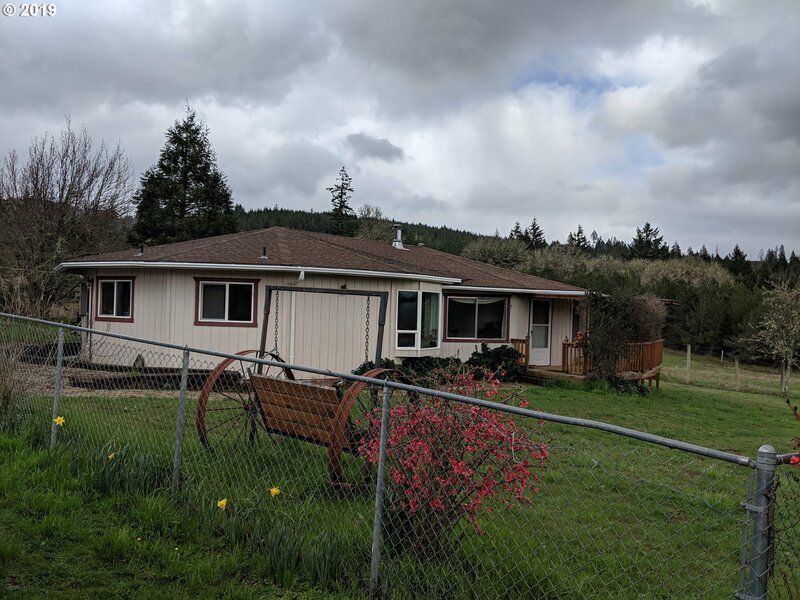 All Grand Ronde homes currently listed for sale in Grand Ronde as of 04/20/2019 are shown below. You can change the search criteria at any time by pressing the 'Change Search' button below. 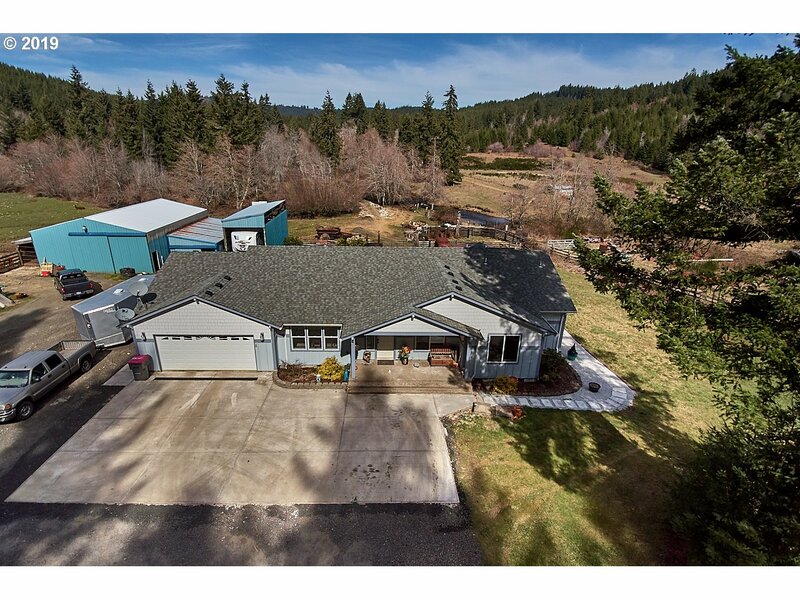 If you have any questions or you would like more information about any Grand Ronde homes for sale or other Grand Ronde real estate, please contact us and one of our knowledgeable Grand Ronde REALTORS® would be pleased to assist you. "34.47 Acres compromised of 7 tax lots, 3.58 acres of Commercial land & 30.89 acres of residential land. Includes a 2515 sq ft 3 bed, 2 bath residence with attached garage and 2 outbuildings totaling 3550 sq ft."
"A River Runs Through It! Come see this 10-acre park like setting featuring a single-level 2013 built house, HUGE shop with additional workshop space. Master suite opens to a covered hot tub on the large back deck overlooking the Yamhill River. Propane-fueled tankless water heater, vaulted ceilings, 2-car extra deep garage, separate laundry room, NO FLOOD ZONE. Farm deferral, so low taxes. This property has it all!" 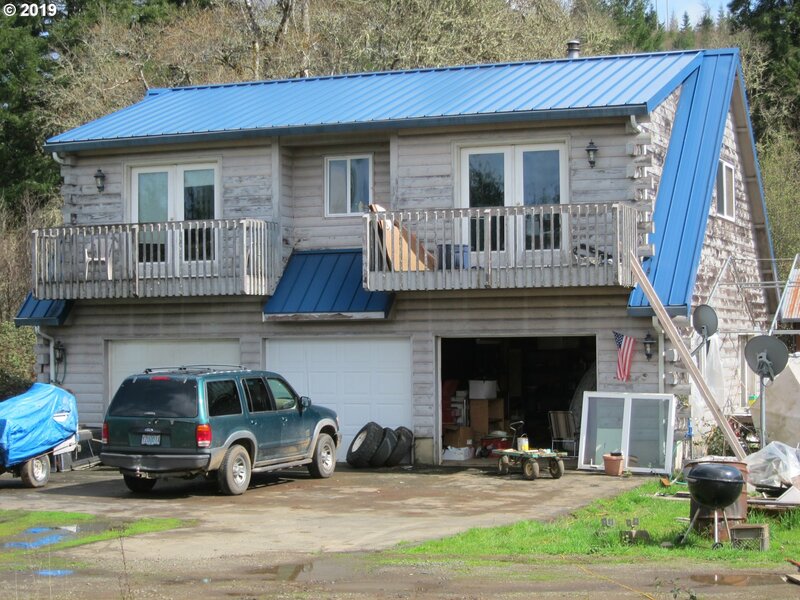 "2 Homes on 9.54 acres (2 tax lots-3.04 acre lot and 6.5 acre lot). Barn,fenced pasture, chicken coop and art studio. Custom built 3 bd, 2 bath octagon shaped home. ALSO a 924 sq ft 3 bd, 2 bath fixer upper single wide or replace/build here! Not a hardship, two separate addresses/tax lots." "WOW! Someone's going to score on this! Amazing SOLID structure BUT needs to be finished inside!!! (& painted outside), Designed as 2 Mstr Suites w/kitchen between, (Used as 1 Mstr & Kitch & LR w/Unfin bath), Bottom Flr is cement floored 3 Car Garage w/ Paved Pad outside, Metal Roof, Apprx 600' River Frontage! (zone AE), Gas heat/H2o. Seller likely unable to get rid of trash! Ford Tractor Incl. Your New Country Sanctuary! Priced to move!" "3bed, 2bath, vaulted ceilings, washer/dryer, stove, refrigerator, dishwasher, covered front porch with ramp. Room for animals, kids, RV parking ect... Shop 36x24 W/110 wiring. Creek frontage, fish, swim in the summer. Country living at its best on 1.5 acres. Five min from casino, 30 min to coast. Priced to sell"
"2.5 acres with creek frontage. One of a kind custom home and private, open floor plan. House sits above flood plain so able to enjoy river view year around from inside with floor to vaulted ceiling windows or fro wrap around deck. Would make a great vacation home or rental. 6 miles from Spirit Mt. Casino, 30 min to coast, McMinnville, Dallas. Enjoy fishing, swimming and all other wild life."